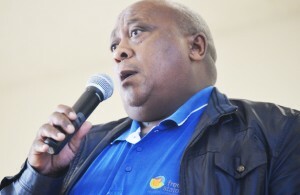 Progress made in uplifting the lives of poor South Africans since the end of apartheid in 1994 by providing them basic services such as free housing and healthcare is worth celebrating, a former mayor has said. But the services enjoyed by many today, former Fezile Dabi District Municipality mayor Jonas Ramogoase said, would not have been possible were it not for the selfless sacrifices of many anti-apartheid activists. “Clinics are free of charge today thanks to the sacrifices of our people,” he said. “We also have early childhood development centres to nurture the minds of the young ones, for free, and from Grade One when we enrol a child in class we feed them. 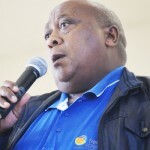 Ramogoase was addressing thousands of people who gathered on Saturday at Pheellang Primary School in Tumahole township, Parys, to commemorate anti-apartheid protests that rocked the area three decades ago. The protests on July 15 1984 were triggered by a decision by the then white-led municipality to increase rentals only for homes occupied by black people. Several hundreds of people were injured by police trying to break up the protests, while one of the protestors – Milo Ngalo – died of his injuries while in police custody. Saturday’s event was part of the 30th commemoration by the Tumahole community of the protests three decades ago. The communities of Tumahole and other black townships in the Vaal Triangle have commemorated the 1984 protests every July 15, which the local community commonly refer to as Tumahole Day. Ramogoase, who was flanked by Ngwathe Local Municipality councillors Thomas Nopeche and Nneheng Mopeli, said the anti-apartheid efforts had paid off for especially for the previously disadvantaged black communities. The democratic dispensation had come with a new constitution that compels the government to provide the people with housing, water and electricity, among many other basics. “A person with rights, such as South Africans, and a person who knows how to use those rights can be able to change their lives for the better using the law,” Ramogoase said.